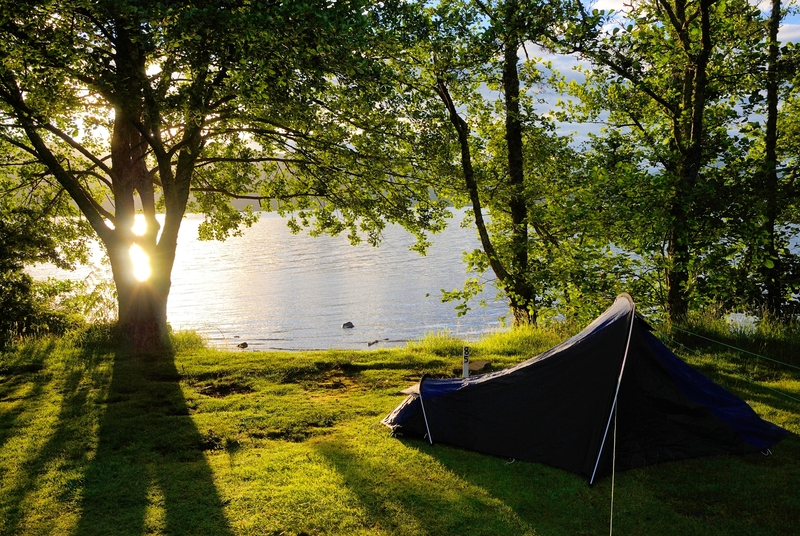 Whether you like beaches, forests, mountains or lakes, there’s a camping spot for everyone in Scotland. 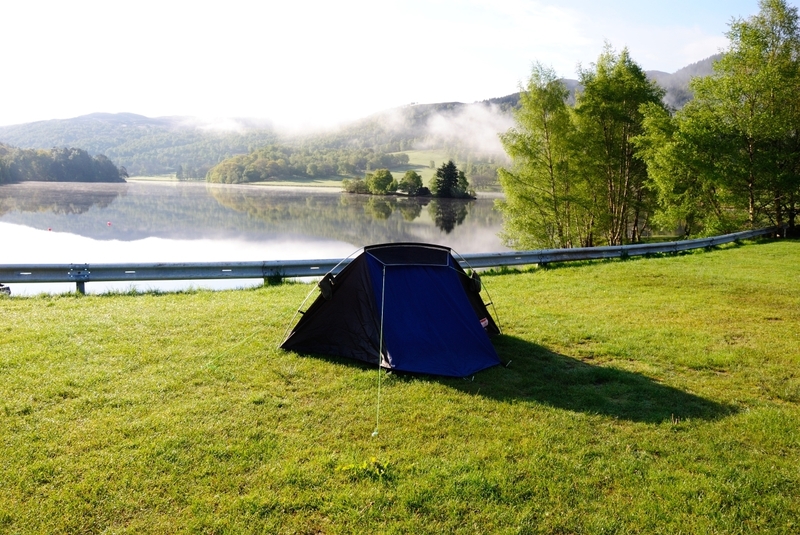 Camping sites across Scotland can suit all budgets and tastes and are surrounded by beautiful scenery. 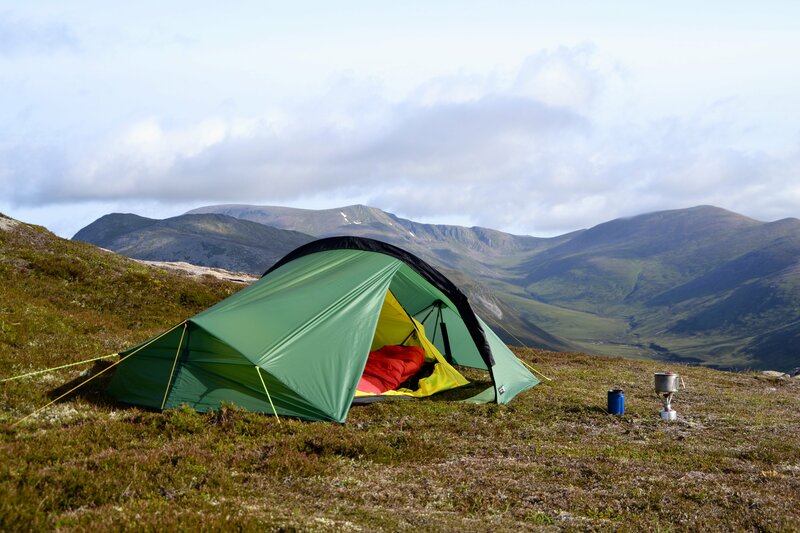 Which camping sites in Scotland would you recommend? Share with the community why you love them! Having camped in various places around the world I think Scotland boasts some of the most spectacular campsites anywhere. With two National Parks, 110 inhabited islands and over 30,000 lochs there's a huge variety of campsites. Whether you have a tent, campervan, motorhome or caravan, or are looking for a glamping experience, there's a big choice. 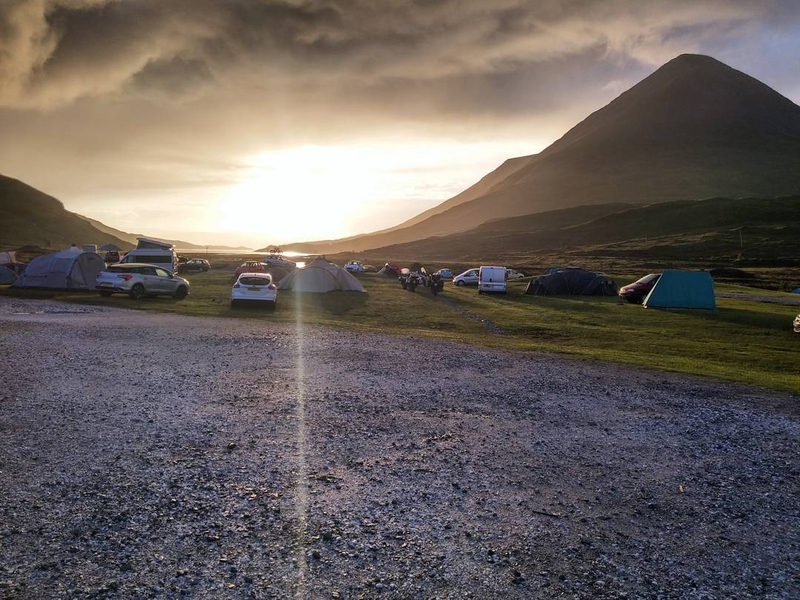 My favourite campsites are not only well-run and have good amenities but are in fantastic locations, so my top picks include sites in the Cairngorms, Arisaig, Mull and Applecross. Many of these are on the beach, and some allow campfires. With its world-leading access legislation, Scotland is perfect for wild camping too - providing you're travelling under your own steam. Just make sure you know the outdoor access code and leave no trace. Scotland welcomes responsible campers ! I have a campervan and love backpacking in the wilds and so my favoured sites are off the beaten track. But while Scotland excels in fabulous scenery it also has to cope not only with some wet and wild Atlantic weather on occasion ... but a few midges also. (I can feel the need for a whole separate discussion on the little blighters!). So when camping in Scotland, just remember two things. First, the weather/midges will improve soon and secondly, there's no such thing as poor weather (or midge protection), just inappropriate clothing ! We've all the camping gear, built this collection up over the last ten years and also learned a few lessons of what not to buy. Every time we went camping we'd always see campers with great tents, tables, cooking facilities, smaller functional items. Space to transport everything is a huge challenge too. Our first family tent, Urban Escape 6 person, didn't have the ground sheet sown in, so you can guess who came to visit us regularly! Trying to keep those little midge blighters out of our sleeping pods was a challenge! One trip we seen a couple sitting in their Vango Orchy 500 zipped in cosy with mesh doors, keeping the midge out, so that was our next tent! We've visited the following campsites, Arisaig, Loch Lomond and Arran being my favourites. There's nothing better than sleeping, eating and waking up in the great outdoors to a beautiful view, or a short stroll to the beach. Loads of great ideas here. If you want somewhere near to Edinburgh Tantallon campsite in East Lothian is great and very close to the beach. My fiance and I did our first wild camp for the summer solstice on top of Goatfell on Isle of Arran! lt was difficult carrying all of our gear but I loved it! I posted in Isle of Arran on 25 June and on my blog if anyone fancies a look at the photos . A free room with a view, a wonderful place to stay! Love a bit of wild camping too - recently camped next to a Loch at Durness and in the wilds of Glen Roy. Always a fight for space with the midges though! With all my gear bungeed on the back of the Harley, it's great to try some out of the way spots. Waking up on a beach, with a gorgeous loch view and not another soul in site is a wonderful feeling. Only 7 sleeps to go until the next adventure north! @Joolshornet sounds wonderful! I think I'll be trying a bit more wild camping. I really do love that you can pitch in beautiful remote places with not a soul in sight. It's so calming Have a great adventure up north and post some pics! Here's one from the last camping spot near Durness - photography defo not my strong point! That's the moon still shining through above the hills, plus a cow and calf taking a dip in the distance (wee white speck half way across the loch!). We are visiting Scotland for the 14th time. However this year we have a motorhome and want to wild camp. Our concern relates to where we get our water for all of our services such as drinking water, flushing etc.Will we have to book into a campsite occasionally to get our water. Any ideas and support would be grateful. 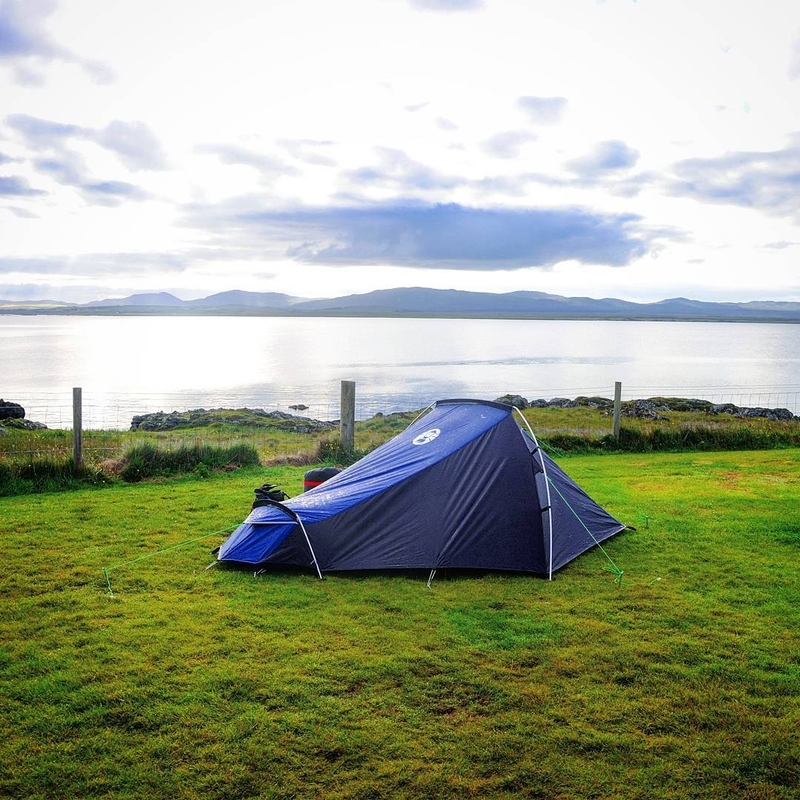 Another great campsite to visit is on the island of Yell in Shetland. 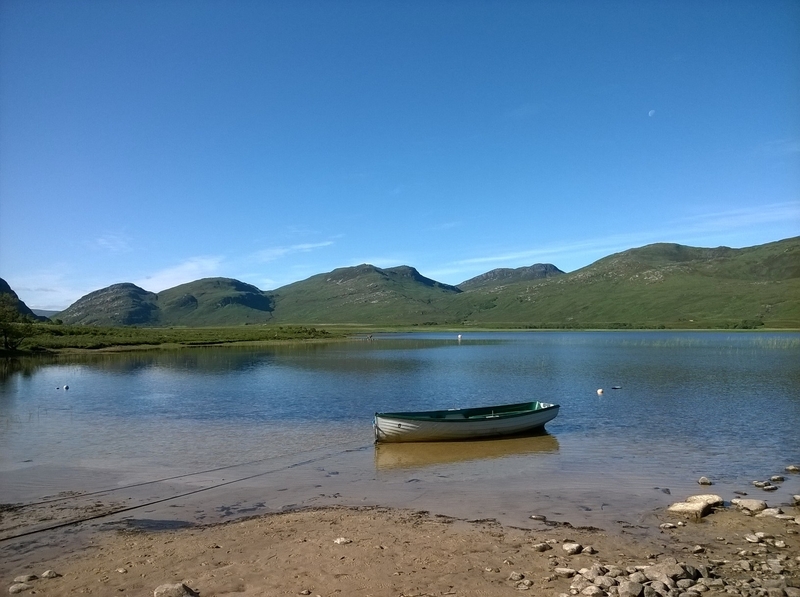 The Burravoe Campsite is situated next to the marina with some beautiful views. There are also very good facilities there too, including toilets, showers, washing machines and even a microwave. It is also only a few minutes walk from the Old Haa museum, which features a lovely tearoom and a wonderful garden. Hi @Nicky0512, yes I suggest it will be most convenient to book into a campsite every few days to fill up with drinking water and get rid of grey water. Most caravan parks are geared up for this and you'll struggle to find proper facilities anywhere else I think. 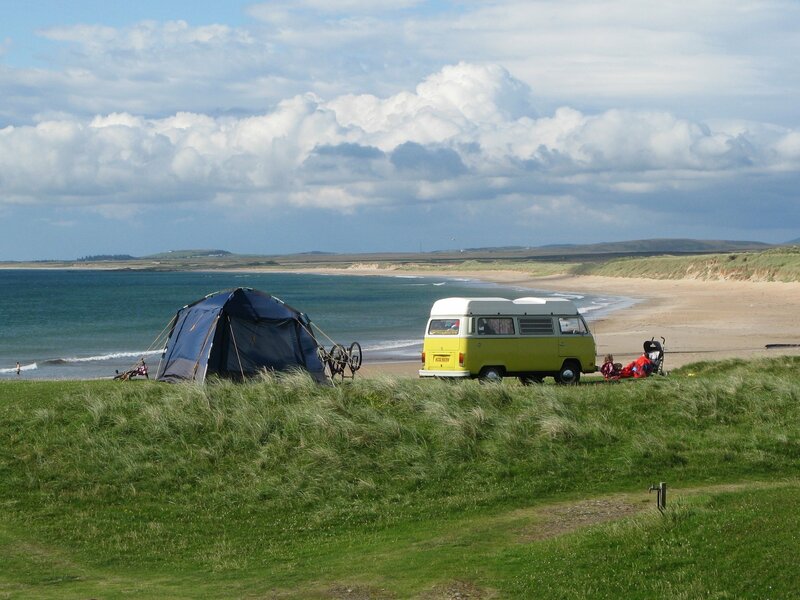 There are some great informal camping spots for campervans and motorhomes in Scotland - just make sure you adopt common sense principles, arrive late/leave early and don't stay in any one spot more than a night or two. I was extremely pleased to experience Scotland this summer as a 1st time camper + backpacker because of the ease of finding campsites & their convenient locations. Here are some of my favourite campsites, all are within a 15 minute walk of a bus stop, perfect for backpackers. Nothing beats views like that at night and in the morning @Horizons! Beautiful locations! @horizons I've wild camped once on top of Goat Fell on Arran. It was a brilliant experience and as you say you get the best moments and views! I'm hoping to walk the Arran Coastal Way next year and some of the days will be wild camping too. Happy wild camping!